I’m sure you’ve heard of the Indiana Board of Accountancy (Board) but maybe aren’t sure what it is. To put that potential mystery to rest: the Board is the entity that handles issues regarding our CPA registration, licensing, renewals, CPE credit, examination and certifications, firms, corporations and partnerships. 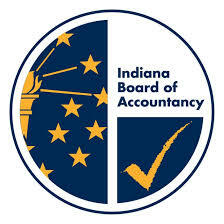 The Indiana Board of Accountancy has a total of six members. Five of which are Certified Public Accountants while one member is not in the profession and serves to represent the interest of the public for the board. Though it is not a requirement to be a board member, all five of the current CPAs sitting on the board are also INCPAS members. State Boards make crucial decisions about the profession which affect the livelihood of working CPAs. By having a voice, you can put your fingerprints on the future of our profession. In 2016, I was appointed by Gov. Pence as one of the newest members of the Board. I am also the youngest member and appreciate being able to serve in such an informative and impactful role. The biggest difference I hope to make is by providing more diversity of thought. Being the youngest person by roughly 20 years, I hope my thought process and viewpoint adds to our discussion on whatever decision we are making. Most people probably think of the Board as the disciplinarians (which is part of the job description), but it’s also important to note that the Indiana Professional Licensing Agency staff and Board are here to help and serve more than we realize. For instance, communicating with NASBA or the AICPA on trends and issues affecting the profession and what Indiana is doing or even fun stuff like writing or re-writing rules to makes licensees lives easier. I encourage and invite anyone to come to a meeting if they are the slightest bit curious as to what goes on at a meeting. To find out more about the Indiana Board of Accountancy and the meeting schedule, go to in.gov/pla/accountancy. Michael, this is helpful to understand the role of the board of accountancy. Thank you for volunteering your time to serve our profession.